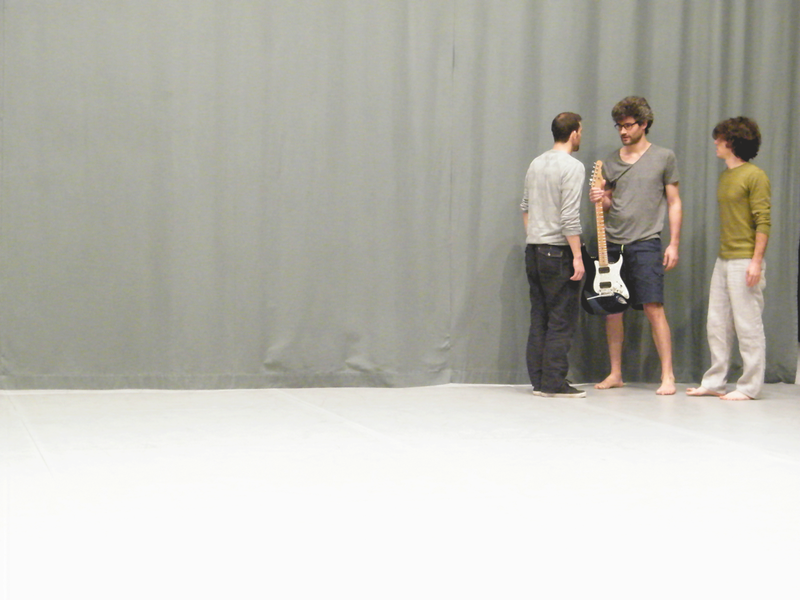 Composing actions, choreographing sounds, The Nikel project is a collaboration of 2 contemporary art ensembles: MAMAZA (a dance makers collective) and Ensemble Nikel (a contemporary music quartet). Both join into a creation of a third entity: one that never really reaches Dance, nor Music. A piece that moves the spectator – the listener – through different landscapes of experience, whose instrument is the space. The focus of the shared work is the puzzle of the visible and the invisible, the meeting, transformation and clashing of that which is unseen, the score, and its manifestation on stage. Charging one field influences and touches the other one – a heard image, a seen sound, or maybe overall simply something to feel.